Eleven time Grammy® winning jazz pianist and composer Lyle Mays returns to Wisconsin in November in one of eight thrilling Lawrence University Performing Artist and Jazz Series concerts lined up for the 2011-2012 season. 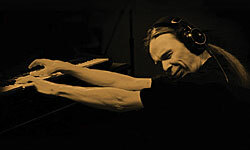 Recognized around the world as a master of the keyboard, Mays has toured with Woody Herman’s Young Thundering Herd, performed with jazz and pop icons Ricky Lee Jones, Joni Mitchell and Bobby McFerrin, and established a 35-year musical collaboration as an integral member of the Pat Metheny Group. A native of Wausaukee, Mays takes the Lawrence Memorial Chapel stage Nov. 5, 2011, with the Lawrence Faculty Jazz Trio, the Lawrence Studio Orchestra and the Lawrence Jazz Ensemble as part of Jazz Celebration Weekend. So Percussion creates music not easy to define, exploring all the extremes of emotion and musical possibility. The quartet, performing March 10, 2012 at Lawrence, has been called an “experimental powerhouse” by the Village Voice, “astonishing and entrancing” by Billboard Magazine and “brilliant” by the New York Times. Edgy (at least in the sense that little other music sounds like this) and ancient (in that people have been hitting objects for eons), they are among today’s most exciting composers and their own original music has quickly helped them forge a unique and diverse career. Hailed as “the world’s reigning male chorus,” by The New Yorker magazine, Chanticleer performs at Lawrence Memorial Chapel April 13, 2012. Chanticleer is known as “an orchestra of voices” for the seamless blend of its 12 male voices ranging from countertenor to bass and its original interpretations of vocal literature, from Renaissance to jazz, and from gospel to new music. The Performing Artist and Jazz Series closes May 11, 2012, with a performance by the extraordinary Panamanian pianist and composer Danilo Perez. His distinctive blend of Pan-American jazz has attracted critical acclaim and his abundant talents and enthusiasm make his concerts memorable and inspiring. Perez will perform with the Lawrence Faculty Jazz Trio. Subscriptions for the series are on sale now and subscribers may choose from the artist, jazz, or “favorite 4” concert packages, with discounts available to senior citizens and students. Single-concert tickets go on sale Sept. 15, 2011. Contact the Lawrence University Box Office at 920-832-6749 or visit http://www.lawrence.edu/news/performingartsseries for more information.